Why deprive yourself from having muffins when you can bake super healthy and delicious muffins? I absolutely love these recipes because they are so quick to put together and you can make them ahead. So on a busy day, have a quick breakfast bit or eat them on the go. This recipe is great for Vegans as we won’t be using any sugar, butter, flour or eggs. Another great thing about these muffins is that they all start with the same batter and you can pretty much add anything you want to it. 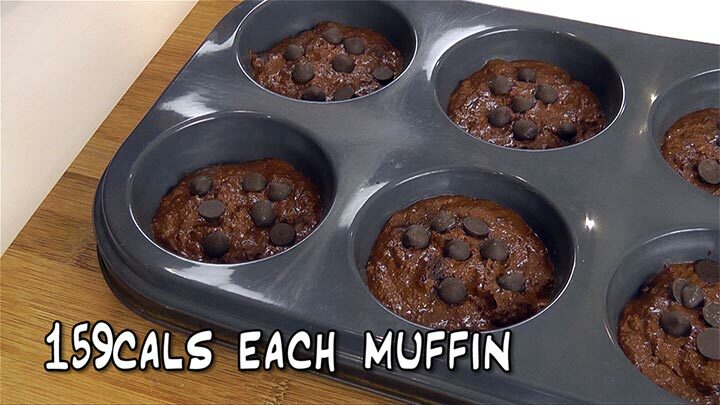 Each of this recipe makes 6 muffins. Let’s start by making the egg replacement. In a small bowl, mix 1 tbsp of chia seeds with 3 tbsps. of water. Allow the mixture to sit for about 5 minutes until it becomes pudding like, just like a raw egg yolk. In a large bowl, I’m going to add all the dry ingredients, so ¾ cup of Oat Flour. You can also use almond flour or any other flour of your choice. Then I’m going to in ¼ tsp. of Baking Soda. Combine well. In another bowl, I’m going to mix in all the wet ingredient. So ½ cup of soy milk. Again, you can choose any other milk of your choice. Then add in 2 tbsps. of Maple syrup or Honey, 1 tbsp. of Coconut oil, ½ tsp. of Vanilla Extract and the Chia Mixture or if you’re not Vegan, you can just add an egg. Mix well. To make the batter, we want to combine the dry and wet ingredients. That’s the base of your batter, which you can then add any ingredients you like. 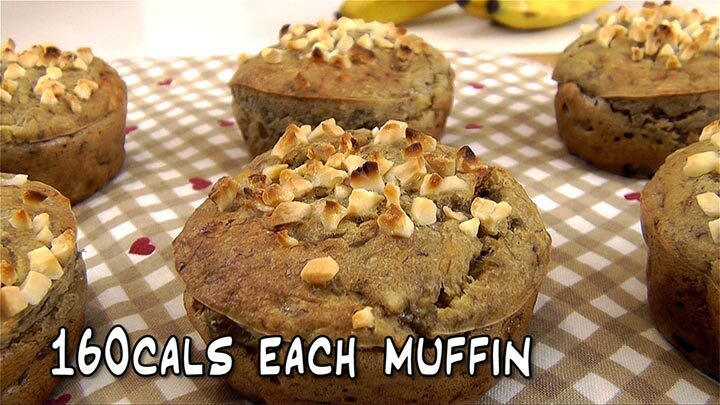 To make the Nutty Banana Muffins, we wanted to add 2 medium sliced bananas into the wet mixture. Roughly mashed them up using a fork. You want to make sure your bananas are extra ripe to get the natural sweetness from the fruit. Don’t worry about the chunks, it adds extra texture to the muffins. Then we want to combine the dry and wet ingredients. Add I’m going to add about 3 tbsps. of crushed almond nuts into the mix. You can choose to add any other nuts or seeds of your choice. Scoop the batter into 6 muffin tins and I’m going to top them up with a little more crushed almond nuts just for presentation. Bake in a pre-heated oven at 180 degrees Celsius or 350 degree Fahrenheit for about 15 minutes, until a toothpick inserted comes out clean. Once they’re done, your house is going to smell of freshly baked muffins. If you love the crunchy texture of nuts, you’ll love this recipe. Every bit you take is fill almond nuts and the sweetness of banana. Allow them to cool down for 5 – 10 minutes before serving. To make the Chocolate Peanut Butter Muffins, we want to add ¼ cup of unsweetened Cocoa Powder into the dry ingredients. And 2 tbsps. of Peanut Butter into the wet ingredients. Combine the dry and wet ingredients and finally stir in the chocolate chips. Scoop the batter into 6 muffin tins. Then bake them in a pre-heated oven for about 15 minutes. Chocolate lovers, this recipe is for you. It’s really rich with cocoa and you’ll bite into the melted chocolate chips. And finally, let’s make the Cranberry Zucchini Muffins. So start by mixing the basic wet and dry ingredients together. Then we want to simple add 1 cup of grated zucchini and ¼ cup of dried cranberries to the batter. Stir well to make sure that all the ingredients are well combined. If at all your batter gets too thick, you can add about 2 tbsps. Of water into the mix. Again, we want to scoop the batter into 6 muffin tins and bake them in a pre-heated oven at 180 degree Celsius or 350 degree Fahrenheit for about 15 minutes. The recipe is great for those of you would like savory muffins and it’s also a great way to add more vegetables into your diet. 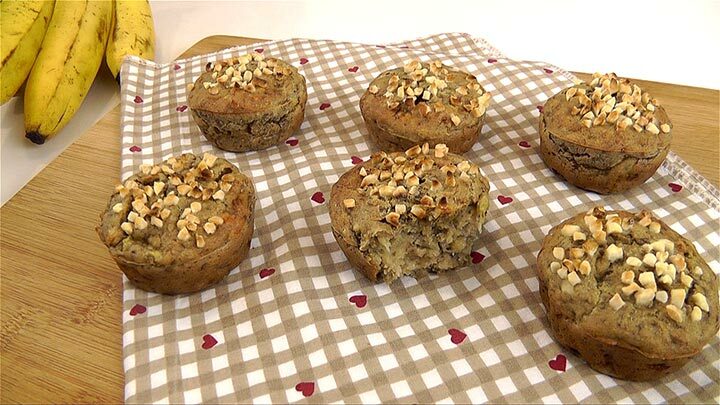 They are really basic muffin recipes, which you can change and adapt to your taste. They are not going to be overly sweet. If you like your muffins sweeter, you can add more maple syrup, honey or even applesauce. I prefer them this way, because I like to spread jam, honey or butter onto the muffins. The chia seeds will give the muffin a pudding like texture. 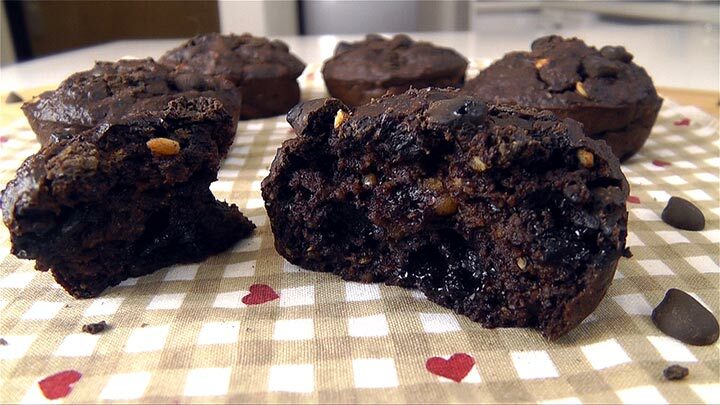 I like to call these super muffins, because they are packed with nutrients, they are good calories and are extremely good for your body. It’s important to know that not all calories are equal. 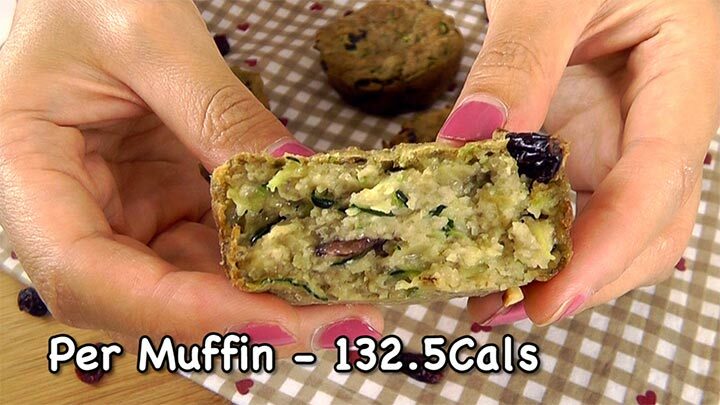 So even if 2 different food with the same amount of calories, for instance this muffin and a small doughnut, your body will absorb the nutrients differently. 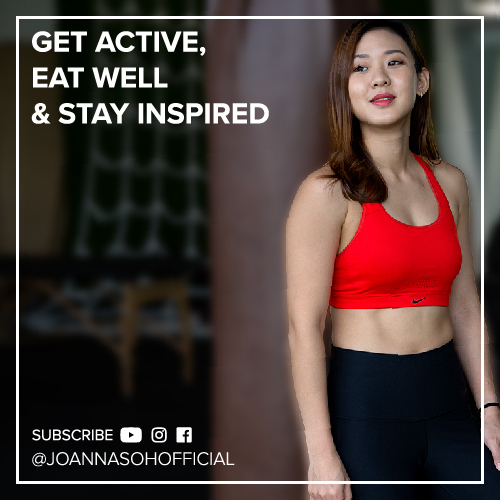 Choose good calories, you’ll feel satisfied, have more energy, and you’re able to maintain a healthy weight effortlessly. 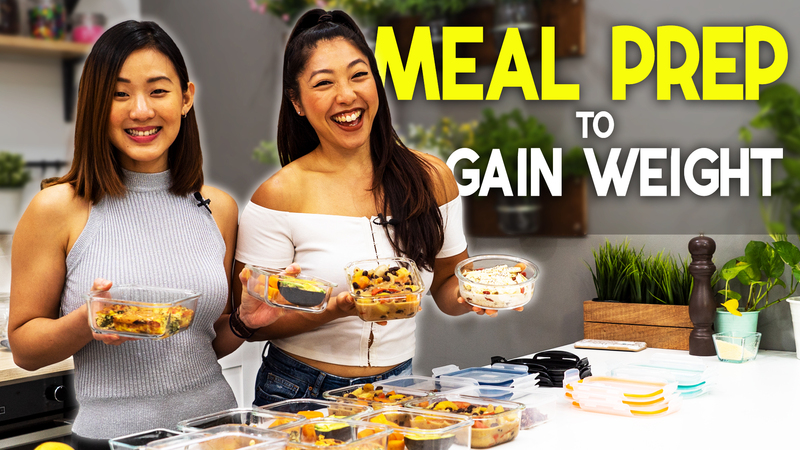 Choose bad calories, you’ll crave for more bad foods, constantly feel hungry, feel and consume more calories than you need. 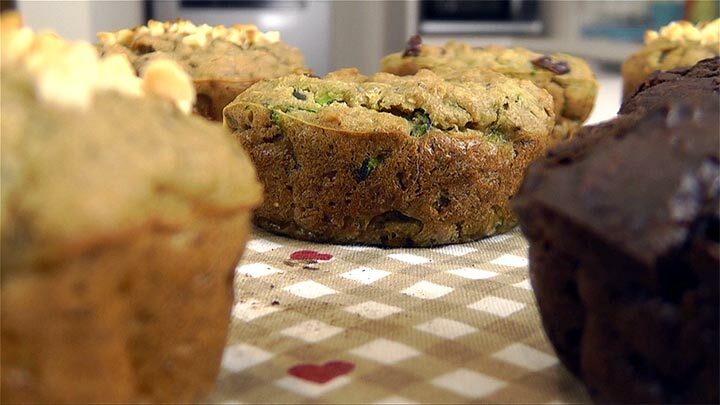 The muffins you enjoy with your coffee, can sometimes rack up to 400Calories per muffin. I’m some one who would never leave home without having my breakfast. Breakfast is fuel and it is THE most important meal of the day. It wakes your body up, it gives you the energy you need to start your day right, and you will be ahead of your competitors, both mentally and physically.